You may have noticed from my posts on Twitter that today is Day of DH 2014. To make a long story short, on #DayofDH , digital humanities scholars and teachers create special blogs to document their work for that day and to connect with like-minded scholars. Check it out if you want to learn more about the DH field writ large! It's like a holiday, for digital humanists. For my blog, I wrote a little bit about our Twitter bot, and particularly shared how I have now set up my computer to tweet an ad automatically every morning. As I mentioned in class yesterday, we now have around 70 followers of the Twitter account, with a couple more adding each day. Exciting times! Now that our basic idea for the Twitter bot is up and running, perhaps we can also talk about whether there is anything else we want to add to it. One potential limitation of our current set up is that only those who have followed us are likely to see our tweets (except when one of our followers retweets an ad, which hasn’t really happened yet). But one of our stated goals in the essay was to "surprise" people by showing them an ad in a context where they don’t expect it. We will still accomplish that with our followers, but their "surprise" will be lessened by the fact that they have decided to follow our account. Any ideas about how we can increase the distribution of and audience for the Tweets, particularly among our non-followers? Another idea that Alyssa brought up in class was to add to our account some regular "on this day" tweets. If you have ideas about how such tweets should be worded, please share them in the comments. There may be some way to word these OTD tweets in a way that solves the problem above. Open to your suggestions! 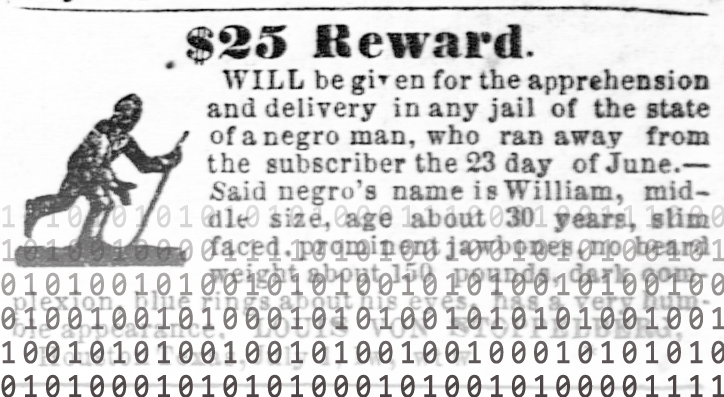 Daniel’s question in class on Monday, about whether we were planning to release the ads we have found to the public, reminded me that we had earlier discussed the possibility of tweeting out our transcriptions with a link to the zoomed image in Portal of Texas History. This tutorial suggests that may not be too difficult, especially now that we have a way to get all of our transcriptions out of our spreadsheets and into text files. It would be possible to write a script that reconstructs the URL to the page image from the title of our text files, and then tweets the first several words of the transcription with a link. That could be a way both of sharing our finds and of increasing interest in our larger project. Is this something we would still be interested in doing? Thoughts?